In Canada, the Quebec immigrant investor program is one of the well-established and most popular investment visa immigration categories. This immigrant investor program can be approached by all business people and senior management professionals around the world. Now, many amendments have been made in this investor program it does not follow traditional immigration criteria, and it is now exclusive, fast and simplified. Most interestingly, the condition of age limit has also been excluded from the program, and now there is no need for any compulsory study, obligation to set up a business or to find an employment or to master a Canadian official language. 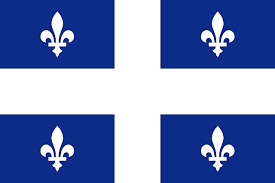 In fact, there are many incredible benefits of Quebec immigrant investor program, and in this article we will follow such benefits. There is no age limit for applicants who meet the conditions of the program. All applications include the candidate, his spouse and dependent children. In most cases, candidates can qualify under the Quebec immigrant investor program even if they have little or no knowledge of English or French. For people with a good knowledge of French are not subject to the limit on the number of applications received for processing each year. Your children will pay the same university fees that Quebec students pay. The Quebec immigrant investor program allows you to obtain the Quebec Selection Certificate (QSC) within a probable period of 4 consecutive months of the Permanent Resident Visa of Canada for an additional 12 months. Once you have won the permanent residence status in Canada of at least 3 years you can claim Canadian citizenship and passport. The Quebec immigrant investor program does not follow the quotas for ordinary immigration by region of the world. For this very reason, if you respect the selection criteria required by the Quebec immigrant investor program, you will be accepted automatically and quickly as an immigrant investor from Canada. Your direct family will have the same advantages and opportunities as you.